The essence of the theme revolves around the story of how Santé came to be the global premier health and wellness provider that it is today. For over a decade since 2007, amidst all the challenges and obstacles faced by the business, Santé has proven to have kept rising up and is still rising up, now stronger and better than ever. 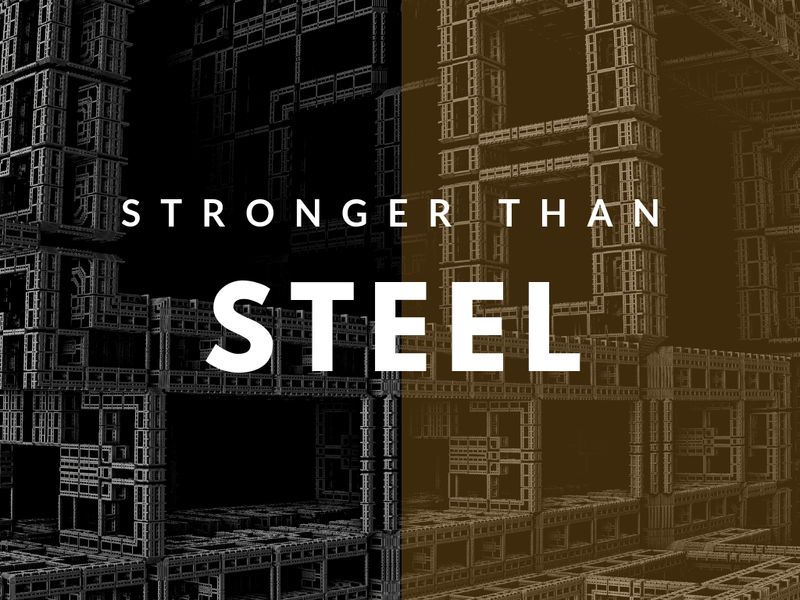 Steel has been widely used as a foundation of construction sites and of the building industries, because a building without steel, even with the strongest cement can easily crumble. As such, Santé is a business built without shortcuts. A business built upon hard work, strong character and a solid community tested through time. But as a representation of steel bars, Santé, even now, is still and will always be a work in progress that keeps on evolving and innovating. The #StrongerThanSteel photoshoot touches with the industrial aesthetic that symbolizes our business owners reaching their dreams and tasting the rewards that were not handed to them in a silver platter. A glammed up version of them in construction sites gives the contrast of luxurious rewards of their success and the reality of their hard work. She is a strong woman with a strong and relentless spirit and an undying passion to help other people live better lives! She is the pillar of her family, standing strong and dedicated. Giving up is never in her vocabulary. For her family, she will never settle for less–because in her heart, her family deserves nothing but the best. He is a man that will keep on moving forward in life. There are no obstacles or challenges in his way that will stop him from achieving his dreams. Because of SANTE, he has accelerated in his journey to success and is continuing his journey by helping people around him. He is a man who is aggressive in reaching his dreams, not only for himself, but also for his family, but also, not only for his family but also for his fellow business owners. He wants everyone to experience the greener grass he discovered in Santé. He is also a man of optimism believing that one day the world will experience what it is like to live the SANTÉ LIFE. She is a woman who wants to carve her own niché in the world. A strong and fierce woman who aims to impact the world, one mentorship at a time. He is a man full of determination and motivation to conquer the world. It all started with his decision to step out from his comfort zone, to step out of his country, his home, to raise the Philippine flag to the global scene in the realms of business and Santé. Santé has molded him and his character towards multi-cultural grounds, extending love and respect to others, especially to Nigerian fellow business owners. Helping people live better lives was his way to achieve everything he ever wanted in life! This was a man with a noble heart and a strong sense of drive believing that his success in life should be directly proportionate to the service and support he provides to other people. Truly, a man with a big heart! This woman has turned “testings” into amazing “testimonies!” She recounts all the mess that happened in her life, but with her inner joy and peaceful strength, she was able to overcome it all and come out with a living story of how things can turn beautiful if you persevere and if you believe in the bigger purpose you have in life. Patience and perseverance are two different things, yet, this man was able to reflect both in his journey towards success. He confesses that the journey was not easy, as he has experienced many rejections along the way, but he took what was negative and used it as a motivation to keep becoming better, to keep becoming stronger and wiser. She is truly a catalyst. Che is a woman who faces everyday with enthusiasm and drive that is fueled by passion. She knows what she wants and will do whatever it takes to grab every opportunity in her way. She is a better version of herself every day, a work-in-progress, a woman of innovation. Grab your tickets now and see you on that weekend!